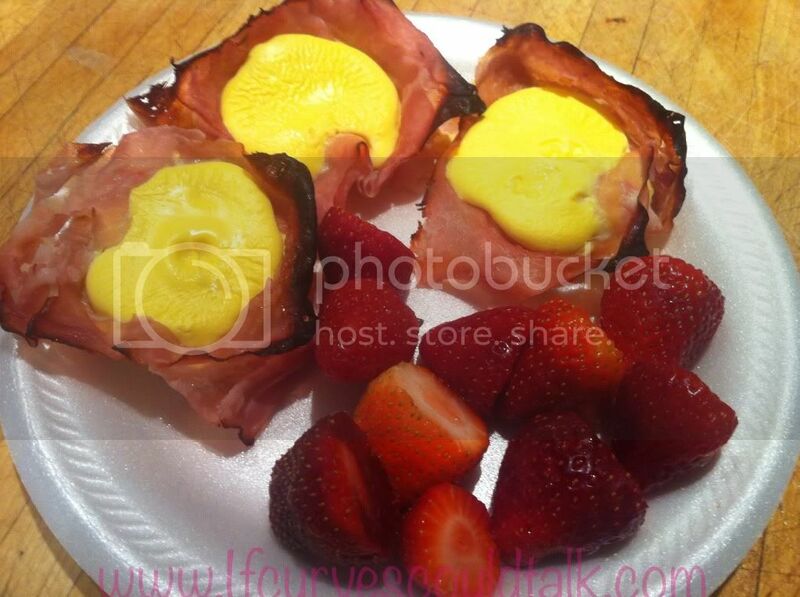 If Curves Could Talk: HEALTHY RECIPE: Ham Cups! I didnt weigh in this week...and personally, it's okay with me! I figure there's always gonna be a Weight Watcher Policeman around to say "Why didn't you weigh in" and all that great cop stuff...but truthfully, I just didn't want to! 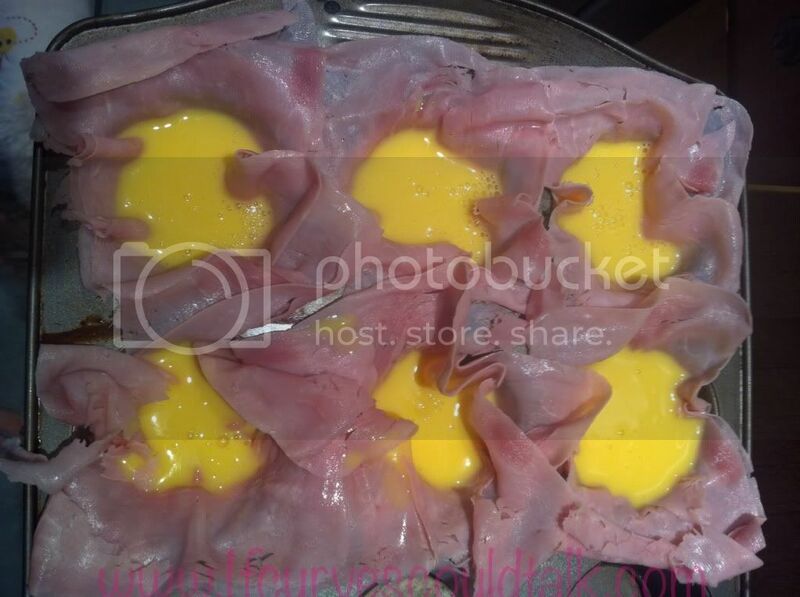 Instead I am bringing you a recipe! 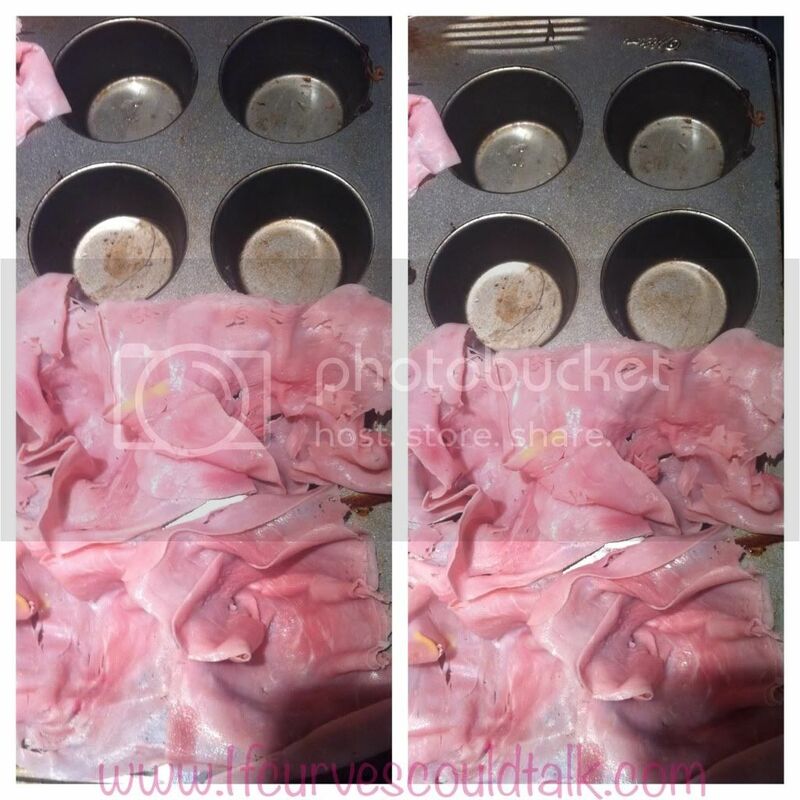 Once your desired ham cups have been filled, place in the oven for 10 minutes, or as you feel is appropiate. 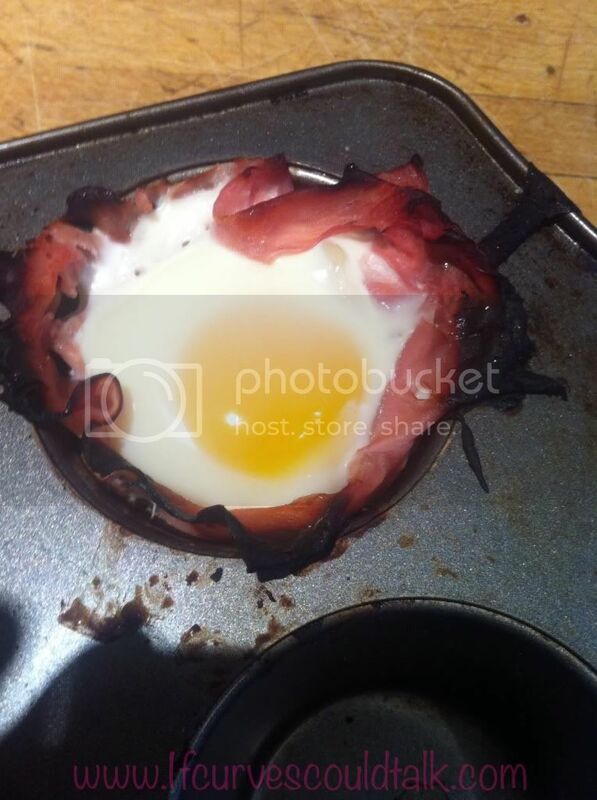 Dont burn the egg! 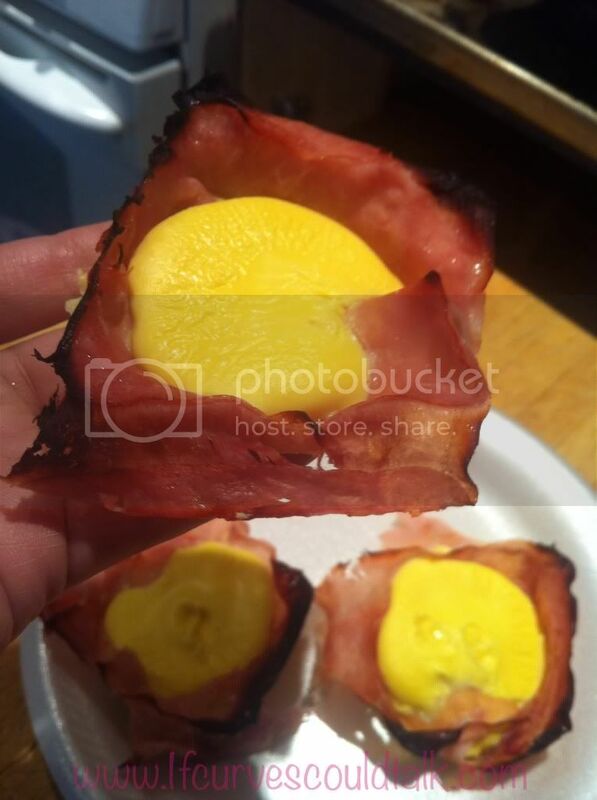 The ham edges should be dark though. looks intrestingly delicious id fill it with bits of bacon some chopped tomatoes cilantro sal pepper and sprinkled cheese on top lol ugh im so "un healthy"